This contemporary hotel is set in the heart of Belfast within close proximity to the shops, restaurants and top sights and attractions. The ideal base for business travellers and holiday makers looking to experience all Belfast has to offer. This eco-friendly hotel offers city tours, elevator access, express check out and a lobby bar for your convenience. They also have a night porters, twenty four hour reception desk and Wi-Fi access. For families there are cots, cribs and high chairs available. Each of the well-appointed en-suite guest rooms come with cable television, double glazing, tea and coffee making facilities, internet access and a work desk. Room service is also available on request should you prefer to relax in the comfort of your own guest room while enjoying a delightful meal. Business travellers can take advantage of the business centre complete with board rooms, internet access, meeting rooms, conference facilities and fax and photocopying facilities. 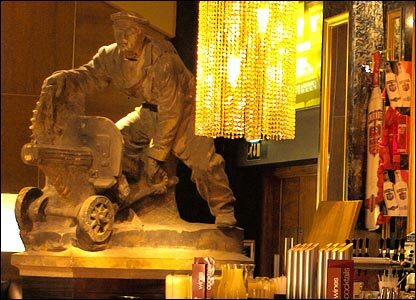 The Northern Whig is a stylish restaurant and bar located in the beautiful cathedral quarter in Belfast. Offering mouth-watering dishes made from locally sourced produce, this restaurant continues to be a firm favourite with locals and holiday makers. Chelsea Wine Bar is an elegant and relaxing wine bar which attracts a diverse crowd. From business men to younger groups of friends, all enjoying a relaxed drink and chatting in this tranquil setting. Lunarland Amusement Park is a delight for children of all ages and offers playgrounds, soft play areas, rides and games that will keep the children entertained for hours. Take your loved one to Cavehill Country Park which is brimming with walking trails, archaeological sites, the McArts Fort and restaurants. Whether you want to enjoy a leisurely walk hand in hand in this picturesque setting or you want to soak up some history, this country park has it all. Belfast Barge is a must if you’re looking to soak up some of the history and culture of Belfast’s maritime history. This barge is a themed attraction located on River Lagan. An interactive museum which is open daily and a delight for anyone visiting this wonderful city. Castle Court offers over eighty shops and fifteen food outlets all under one roof in the heart of Belfast. This shopping centre is an ultimate shopping experience with a variety of shops just waiting to be explored.